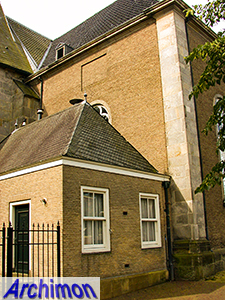 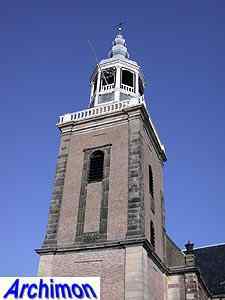 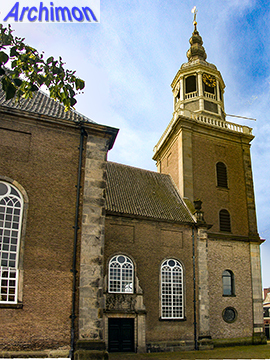 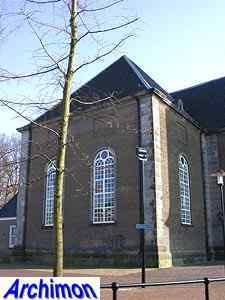 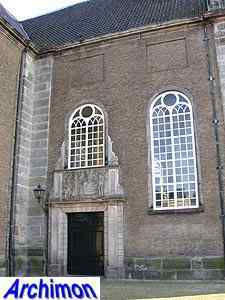 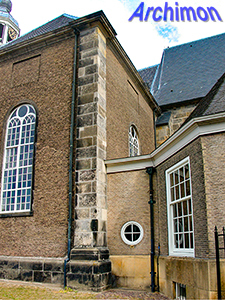 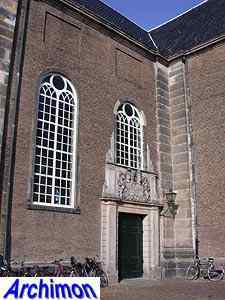 The reformed Great Church of Almelo is the successor of the chapel of the local castle. 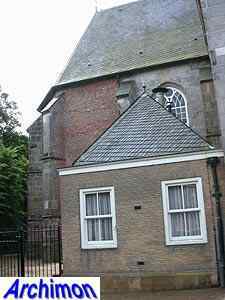 This chapel was founded in 1236 and became a parish church in 1296, consecrated to Sts. 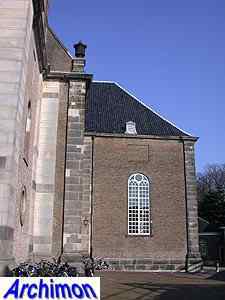 Georgius and Mauritius. 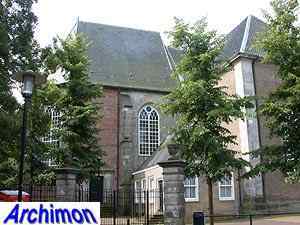 The oldest part of the current church is the choir, which was built in Gothic style in 1493 using Bentheimer stone. 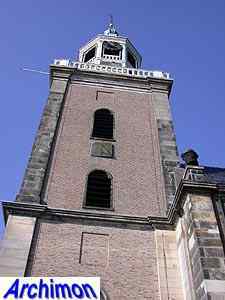 During that time the entire church was replaced in Gothic style. 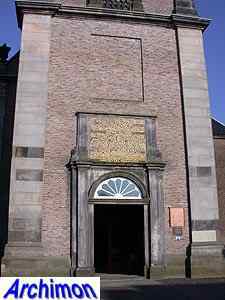 However, the church was yet again replaced in 1738, after it had fallen into decay after having been in the hands of the protestants for over a 100 years. 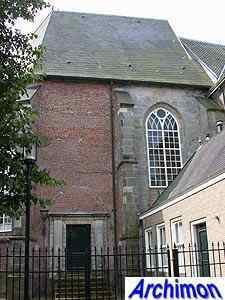 The Gothic nave and tower were demolished. 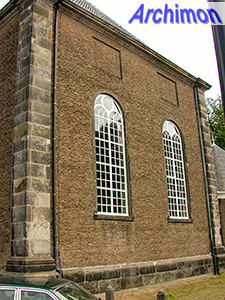 Stones of the old church were possibly used for the corners of the new church, which was otherwise mostly built of bricks. 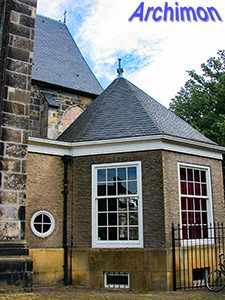 The new church was built in Classical style and has a centralizing ground-plan in the shape of a Greek cross, as common for protestant churches of that time. 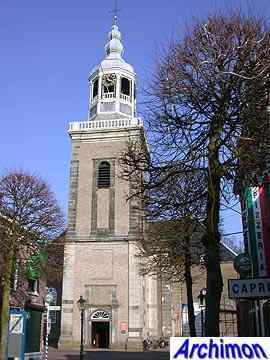 The spire was added in 1777.